A company (or its HR department) will often wish to delegate some or all of the activities involved in relocating staff, and must be certain that those activities will be conducted to perfection. As the customer, you seek a reliable partner who will assume responsibility for every last detail. 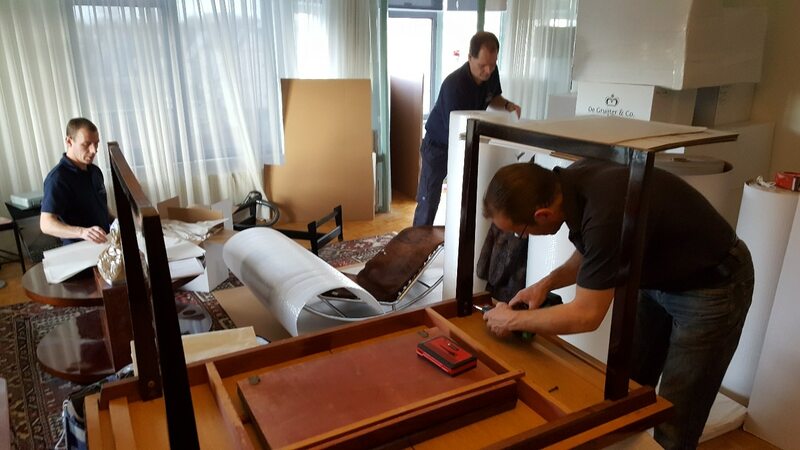 That partner is Royal De Gruijter & Co. You can safely leave every aspect of your planned relocation to us. Your account manager will take on the role of personal assistant throughout the process, making all the necessary contacts, assembling a team of expert staff, and overseeing all planning and progress agreements. By filling out the form beneath, we will be able to provide you with a price indication for the removal. Rather call us for consulation or advice? Please call us, we’re there for you: +31 (0)71 – 589 93 13.